We are a Christian company of computer experts with the desire to provide ways for people to find & use Christian related companies. 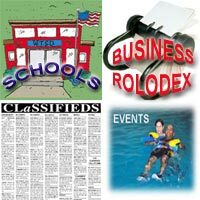 Click on one of these option and check out Christian Events, Schools, Businesses and even Business Classifieds. Great place to find companies interested in hiring Christian employee's.